Jaguar Land Rover workers could be sent on global missions as part of a new &apos;International Mobility&apos; programme to be launched in January - if they accept a revised pay deal. JLR&apos;s new worldwide workforce strategy is part of the two-year deal unanimously recommended for acceptance by the unions following weeks of controversy and threats of industrial action. The new offer will provide a 4.5 per cent pay increase in the first year along with a one-off lump sum payment of £825, plus a rise of three per cent or RPI plus 0.5 per cent, whichever is the greater, in year two. Recommending acceptance by more than 15,000 workers, an employee bulletin obtained by the Post said the general increase offered in year one of the deal was 2.2 per cent above the current rate of inflation. On the new international programme, the bulletin stated: "Effective January 1, 2015, it is agreed that from time to time, there may be a requirement for employees to travel to work in global locations on a temporary basis in order to support projects upon which they are engaged. "Following a reasonable company request, employees will be expected to support any such work. This will only take place once reasonable discussion has occurred and appropriate volunteers have been sought." The new global strategy comes as JLR continues its programme of overseas growth, with a new factory in China – the vehicle maker&apos;s biggest market worldwide – and a plant in Brazil in the pipeline. The bulletin says the new deal will see semi-skilled production operatives reach 100 per cent pay rates after five stages while all skilled employees will receive 100 per cent pay and a permanent contract from January 2015. It also states: "There are no proposals relating to pensions in our 2014 pay and conditions offer." 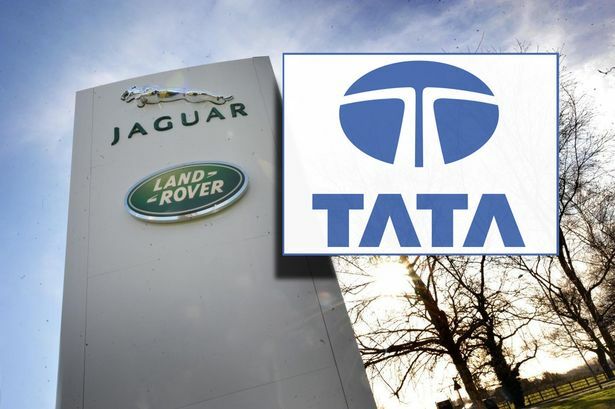 Unions had accused JLR of attempting a £240 million pensions raid to fund the original three-year deal, which was rejected in a 96 per cent majority vote. Meanwhile, holiday bonuses will be increased by £10 to £380 for 2015 and by £10 to £390 for 2016. On working practices, a range of four-shift patterns are agreed for use at Castle Bromwich, dependent on business requirements. On holidays, a flexible arrangement will be introduced, allowing sites to determine if they will be allocated to pre-scheduled shutdowns. The bulletin concludes: "Both the company and the trade unions recognise that these negotiations come at a critical and exciting point in the history of Jaguar Land Rover. "This offer takes into consideration the differing needs of our employees and ensures that everyone can share in the rewards of our business performance. "This recommended offer recognises and rewards the valued contribution of our skilled and loyal employees, who have helped ensure the company has realised its ambitious growth plans so far. "This offer ensures that all employees have been appropriately compensated after the pay cuts taken during the recession. "The company and trade union members of the Jaguar Joint Negotiating Committee, Land Rover Joint Negotiating Committee and Jaguar SJNC will unanimously recommend that you vote to accept this offer following report back meetings, which will be held over the next two weeks."